The Royal Armouries is pleased to present a new I:33 Sword in collaboration with Albion Swords. Initially offered as a limited edition of thirty swords and presented in a handcrafted bespoke case complete with a copy of the I.33 Facsimile and associated certifications and documents, this sword was made for the HEMA community by the Royal Armouries and their partners Albion Swords Limited, LLC. 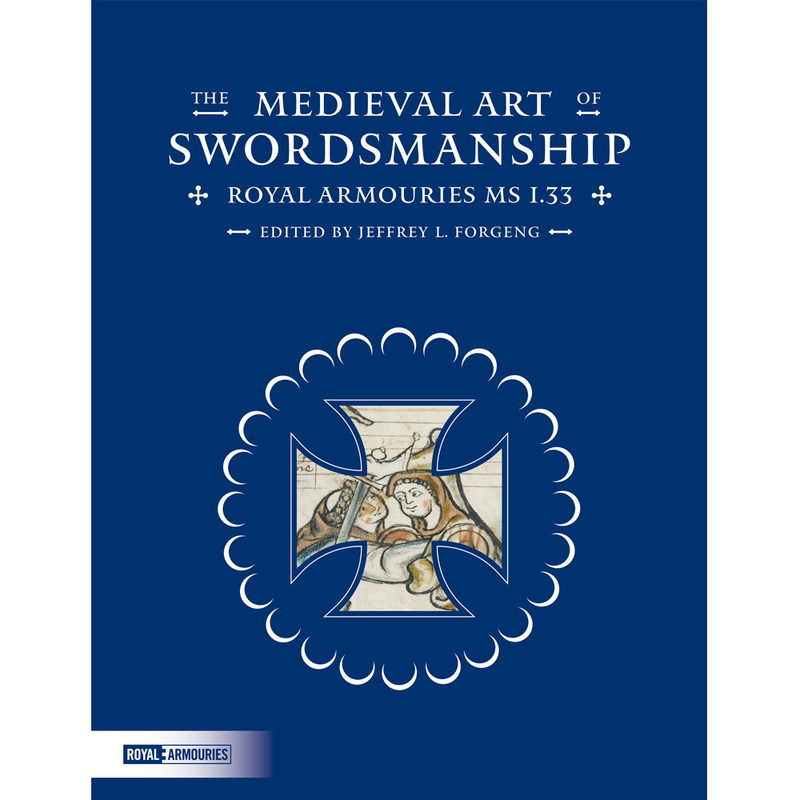 The Royal Armouries selected Albion as their partner for this project as they are widely regarded as one of the foremost makers of historically accurate swords for both collectors and practitioners of historical martial arts. The Limited Edition sold out within a few weeks of its introduction. The Royal Armouries has kindly extended this sword offering as an open-edition to Albion's customers as a stand-alone product. The I.33 sword is inspired by those found in one of the Armouries most prized treasures – The MS I.33 Manuscript, otherwise known as the Tower Fechtbuch or Walpurgis Manuscript. Based on Oakeshott-type XII swords from the Royal Armouries collection, the I.33 Sword exhibits the look and handling characteristics of the swords used in the manuscript and at the time it was created. Featuring numerous period and manuscript correct improvements over any other commercially available I.33 style sword, the I.33 was designed with a historically accurate peened construction, traditional leather covered grip and a cross guard echoing those found in the manuscript. The blade is decorated with both the Royal Armouries I:33 device and the Albion mark and is made from German 80CRV2 heat treated steel. "Although there is of course no such thing as ‘the sword used in I.33’ in existence we feel that we have successfully recreated something that is akin to some of the swords depicted in this marvellous and fascinating work. We hope that you will agree with us that it is a sword which captures some of the spirit, flavour and art, in all its senses, of the Fechtbuch. And as many medieval blades bore the mark of their maker or a symbol to protect the user we decided to add one more unique detail to the blade. The fuller of the blade bears a stamped representation of one of the many forms of crosses within circles that are found at various points in the margins of the manuscript, which appear to denote the beginning of new sequences. Thus this sword is indelibly connected to I:33." Blade: 80CRV2 heat treated steel. Fittings: Corrosion resistant stainless steel. This is not a sharp sword, it is designed for practicing and sparring safely.